There’s a lot to love about this grow light. It has a triple gooseneck design for ease of lighting multiple plants in different locations at once. 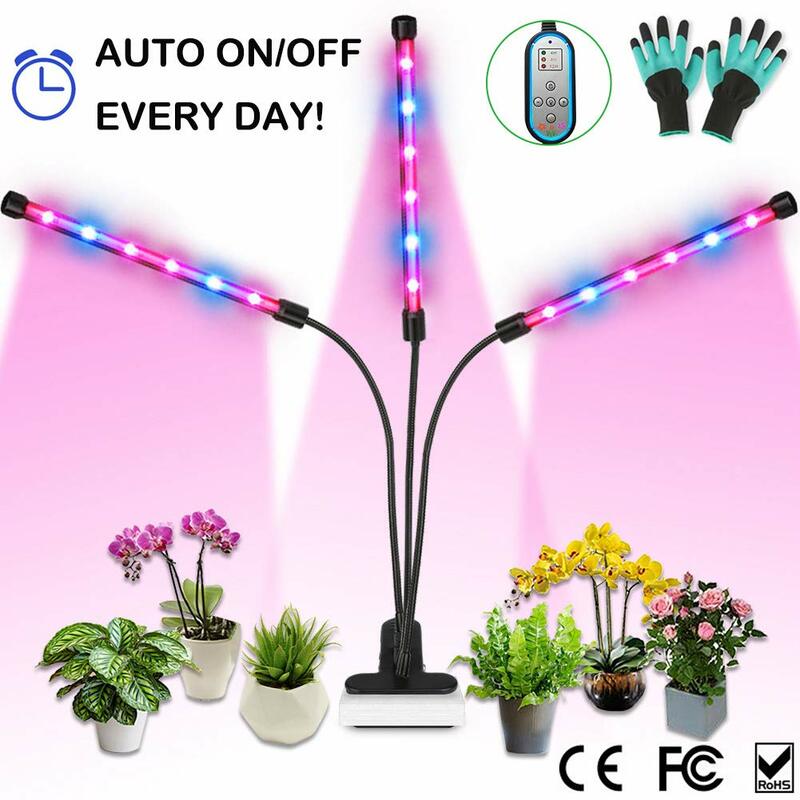 It is only 36 watts (36W) so if you are simply lighting 2 or 3 plants or only need supplementary light, this will work. 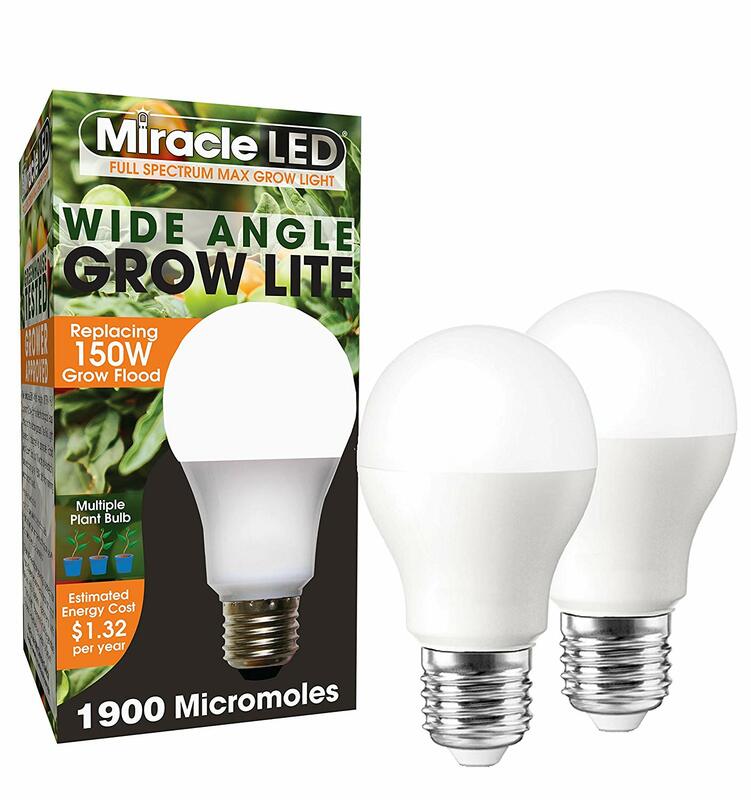 The Miracle LED light bulb is a really neat way to bring your plants the spectrum of light they need, without adding traditional grow lights in your home. It’s a perfect solution for keeping the decor of your home the same but also giving your houseplants what they crave to thrive. However, something to keep in mind is the size of the bulb. They are larger than traditional ones. Due to this, it may not fit with your current set up. This 4-piece strip set is perfect for shelving units. With a light under each shelf pointing downward onto your plants, they can’t help but love their environment! 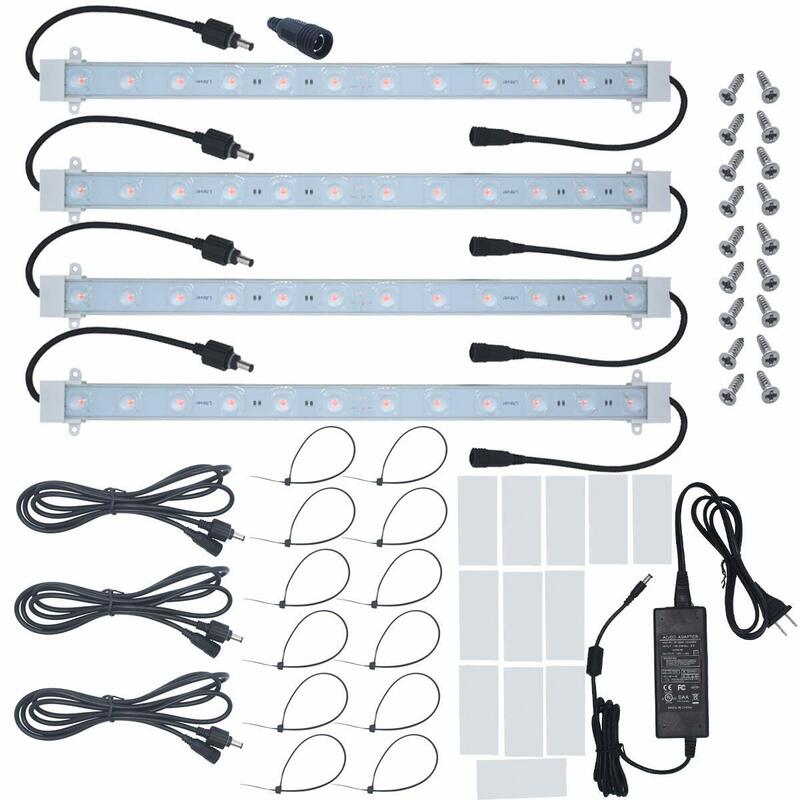 T5 lights have long been a favorite from indoor plant growers of all types. Adjustable plant stand design gives you the ability to fit many of your smaller or starter plants underneath for maximum light reach. 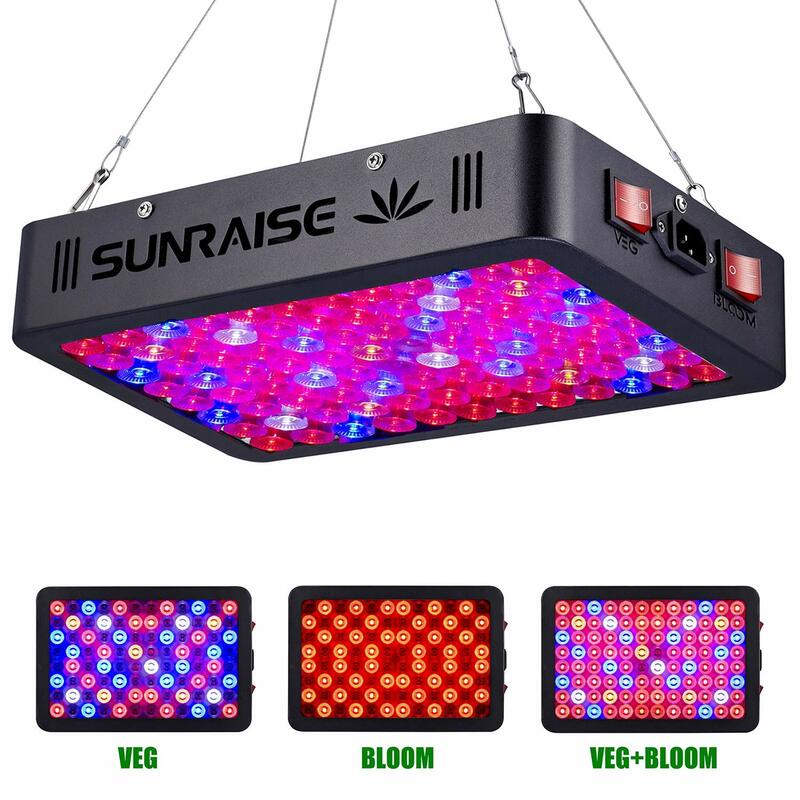 This is a great choice if you prefer a florescent type of grow light. 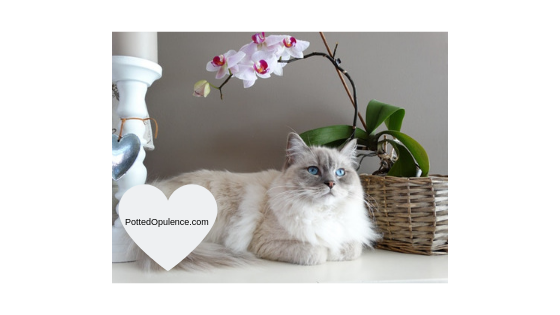 It’s also perfect for many different types of indoor growing, such as: seed starting, growing orchids or other higher light requirement houseplants, or simply need an adjustable base. Root Farm is a well loved and trusted brand. 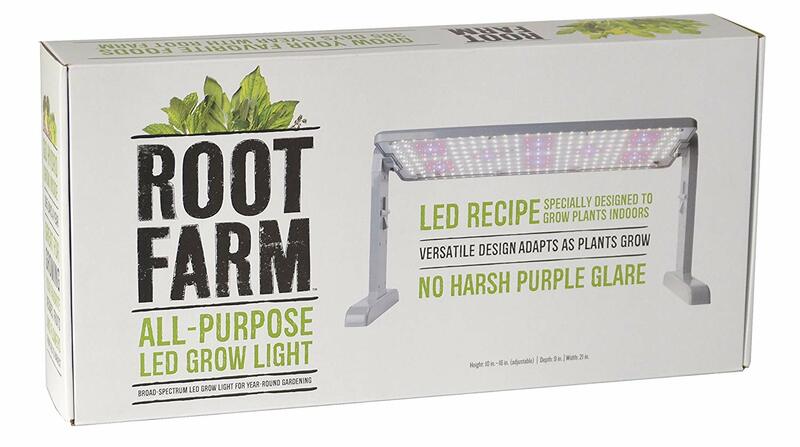 This all purpose grow light of theirs is especially great for indoor gardening and seed starting. It actually works pretty well for houseplants too! One of the best things about it is the spectrum of light it provides. If you’re not a fan of turning your room that purplish color with other LED lights, you’ll enjoy this one. 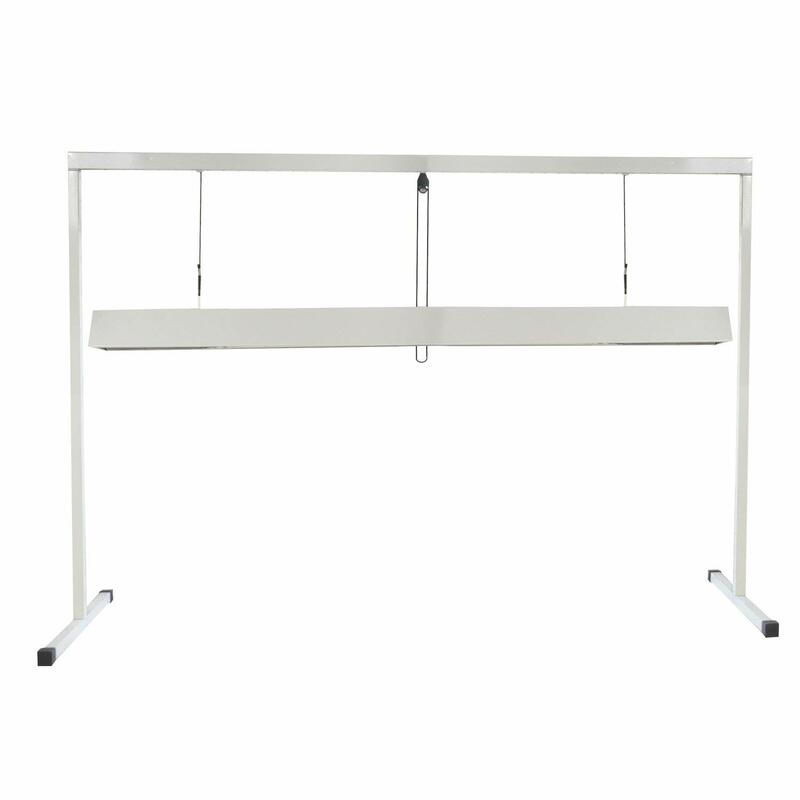 You may need to sturdy up these legs a bit, as this design is adjustable and can be a tad wobbly on some surfaces. AeroGarden is absolutely amazing. They were sort of the pioneers into this indoor growing world in some respects. Over time, they’ve just kept adding and improving their features and abilities. This version now even has WiFi functionality, allowing you to control your AeroGarden remotely with an app! How cool is that? If indoor gardening and growing is your cup of tea, the AeroGarden is a buy you won’t regret. The lights are powerful, reliable and economical. The additional features such as WiFi, extra seed pods, increased growing area and Salad Bar Seed Pod Kit are hard to beat! 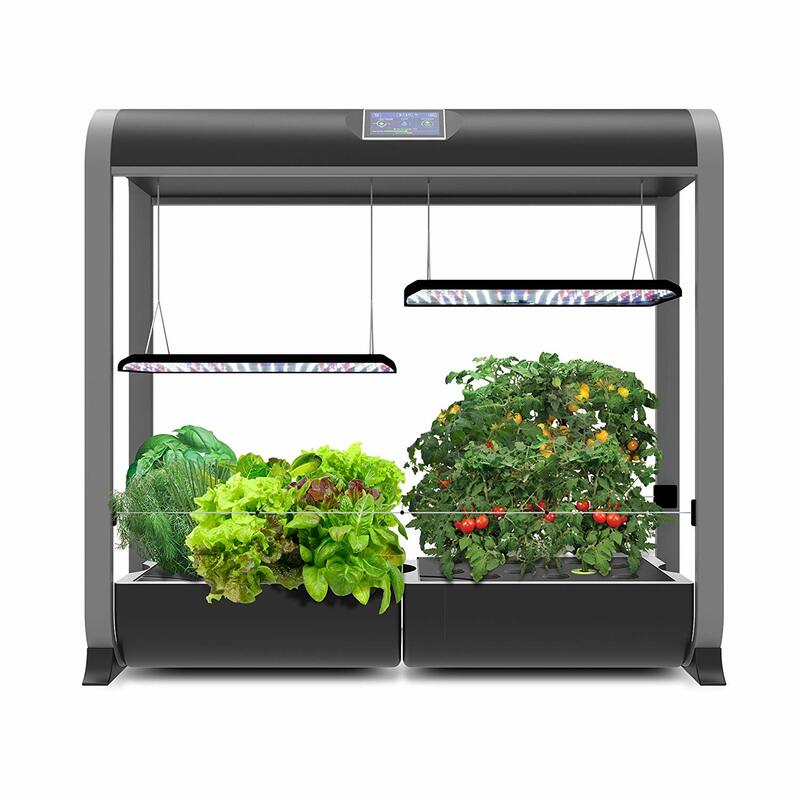 AeroGarden is sure to be a hit in your home with great support to back it up. City growers – you’ve met your match made in Heaven! Space saver but able to grow nearly anything you love. If power is what you’re after, you just might have found your match here. Energy efficient LEDs keep your electric bill as low as possible while still providing you with maximum light output. With this light by Sunraise, you have some control over the type of light you provide. There are 3 main settings: VEG (best for seedling growth), Bloom (best for fruits and flowers) and a combination of those two settings for best performance all the way through the growth cycles. Covering a 3×3 area (or 4×4 in grow tent), this light gives some substantial output for maximum growth. This light is impressive and just might wow you with results. Try it out! 1800 watts of pure, plant growing power! 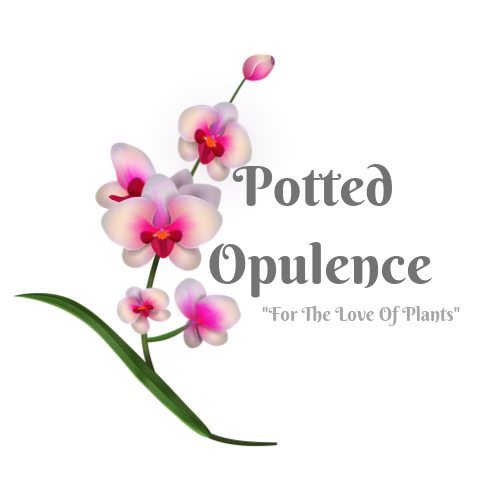 🙂 If you’re serious about growing orchids, other sunlight loving houseplants or an indoor garden, you will not be disappointed in this choice. I love that this kit comes with a humidity monitor, as monitoring humidity levels is critical for many plants, including orchids. Knowing your current temperatures are also vital since orchids have very specific temperature requirements as well. 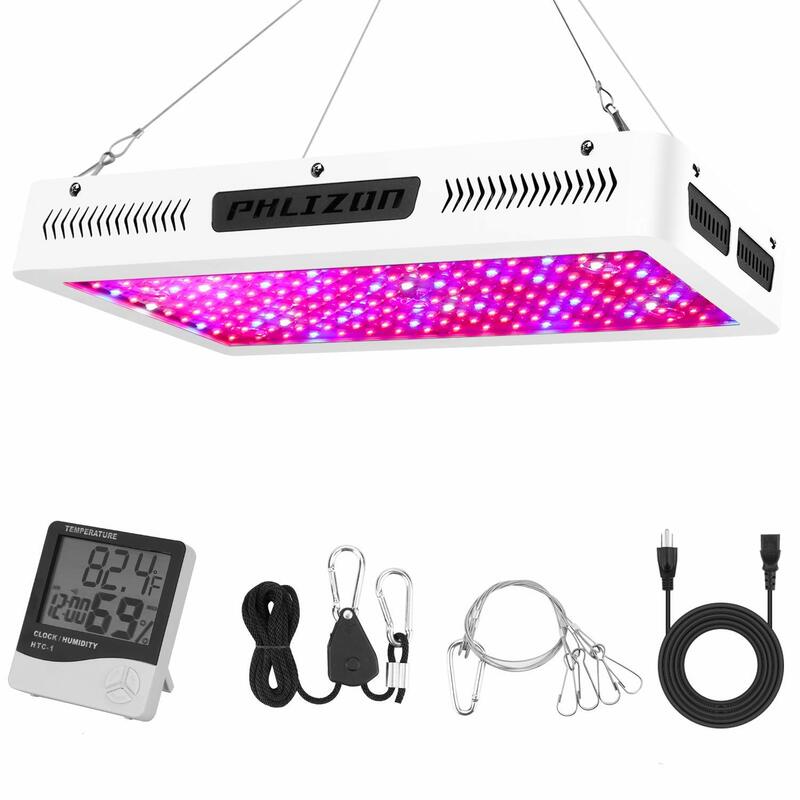 Regardless of what you choose to grow, there is great value in this grow light set with thermostat and humidity monitor included. Their customer service is fantastic and will help you with any problems you encounter. In fact, they offer a 30 day money back guarantee and 2 year warranty. I don’t know about you, but I like that a lot! Good to know I’m not out in the cold if/when something goes wrong. If you are anything like my husband and I, we LOVE fresh produce. Our cold winter months just don’t allow us to grow the veggies we enjoy so much. 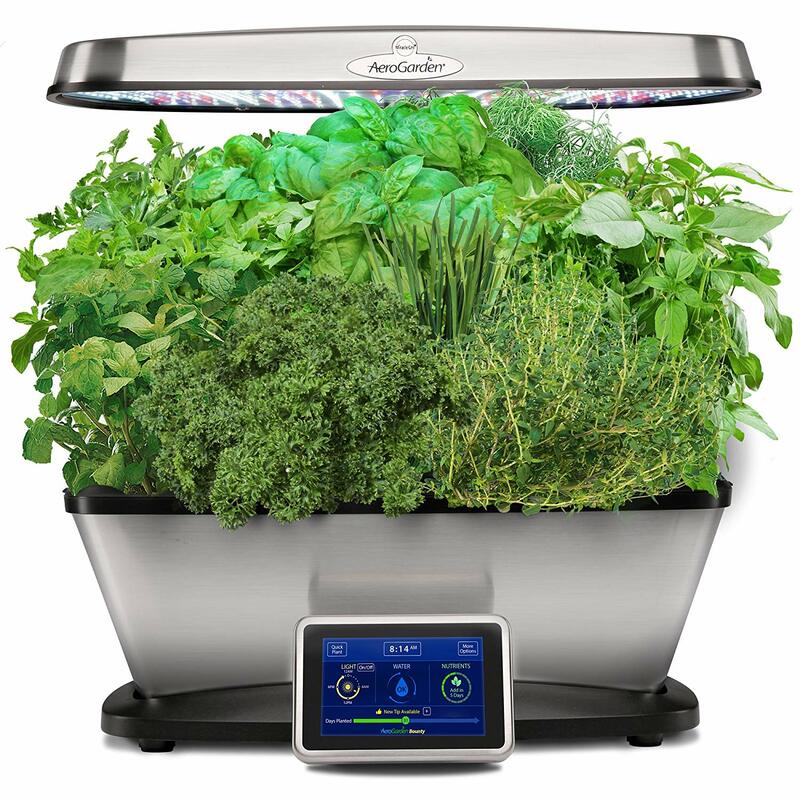 AeroGarden came up with this solution for those of us who need fresh greens year round. Herbs, spices, veggies and some fruits grow beautifully in this Bounty Elite. What’s great is that no soil is needed – the plants grow in water. It’s a perfect indoor garden. If you live in an apartment, are low on space or live in a cold climate, I highly recommend this lil’ guy to get you growing again.